Categories: N, Taj Brands. Tags: amiodarone, dofetilide, macrolide antibiotics, N, pimozide, procainamide, quinidine, sotalol. NEFAZOR XR 500 is a medicine used in combination with other medicines to treat angina pectoris, which is a chest pain or discomfort that you feel anywhere along the upper part of your body between your neck and upper abdomen, often brought on by exercise or too much activity. – if you are allergic to ranolazine or any of the other ingredients of this medicine listed in section 6 of this leaflet. – if you have severe kidney problems. – if you have moderate or severe liver problems. – if you are using certain medicines to treat bacterial infections (clarithromycin, telithromycin), fungal infections (itraconazole, ketoconazole, voriconazol, posaconazol), HIV infection (protease inhibitors), depression (nefazodone) or heart rhythm disorders (e.g. quinidine, dofetilide, or sotalol). – if you have mild or moderate kidney problems. – if you have mild liver problems. – if you have ever had an abnormal electrocardiogram (ECG). – if you are elderly. – if you have low weight (60 kg or less). – if you have heart failure. – certain medicines to treat bacterial infections (clarithromycin, telithromycin), fungal infections (itraconazole, ketoconazole, voriconazole, posaconazole), HIV infection (protease inhibitors), depression (nefazodone), or heart rhythm disorders (e.g. quinidine, dofetilide, or sotalol). 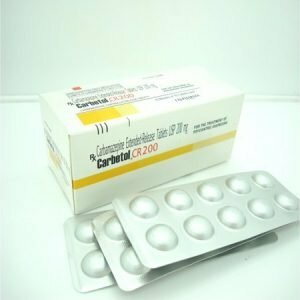 – certain medicines to treat a bacterial infection (erythromycin), or a fungal infection (fluconazole), a medicine used to prevent rejection of a transplanted organ (ciclosporin), or if you are taking some heart tablets such as diltiazem or verapamil. These medicines may cause an increase in the number of side effects, such as dizziness, nausea, or vomiting, which are possible side effects of NEFAZOR XR 500 (see section 4). Your doctor may decide to give you a lower dose. – medicines to treat epilepsy or another neurologic disorder (e.g. phenytoin, carbamazepine, or phenobarbital); are taking rifampicin for an infection (e.g. tuberculosis); or are taking the herbal remedy St. John’s Wort, as these medicines may cause NEFAZOR XR 500 to be less effective. – heart medicines containing digoxin or metoprolol, as your doctor may want to change the dose of this medicine whilst you are taking NEFAZOR XR 500. – certain medicines to treat allergies (e.g. terfenadine, astemizole, mizolastine), heart rhythm disorders (e.g. disopyramide, procainamide), and depression (e.g. imipramine, doxepin, amitriptyline), as these medicines may affect your ECG. – certain medicines to treat depression (bupropion), psychosis, HIV infection (efavirenz), or cancer (cyclophosphamide). – certain medicines to treat high levels of cholesterol in the blood (e.g. simvastatin, lovastatin, atorvastatin). These medicines may cause muscle pain and muscle injury. Your doctor may decide to change the dose of this medicine while you are taking NEFAZOR XR 500. – certain medicines used to prevent transplanted organ rejection (e.g. tacrolimus, ciclosporin, sirolimus, everolimus) as your doctor may decide to change the dose of this medicine while you are taking NEFAZOR XR 500. Tell your doctor or pharmacist if you are using or have recently used or might use any other medicines. NEFAZOR XR 500 can be taken with or without food. While being treated with NEFAZOR XR 500, you should not drink grapefruit juice. 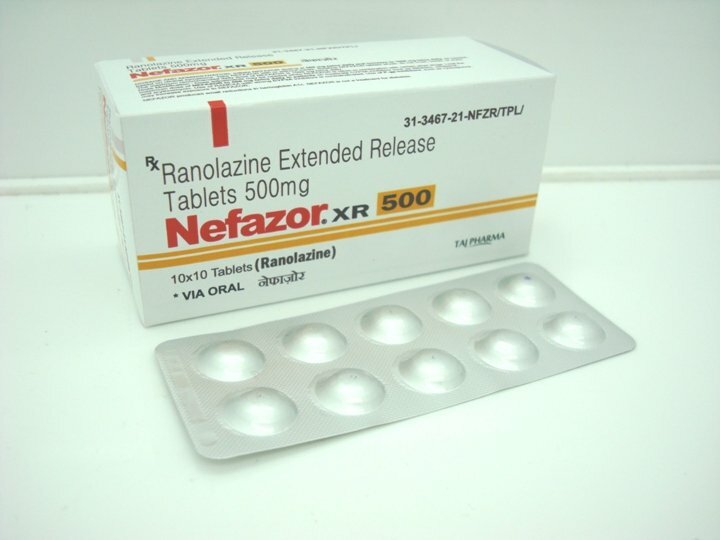 You should not take NEFAZOR XR 500 if you are pregnant unless your doctor has advised you to do so. You should not take NEFAZOR XR 500 if you are breast-feeding. Ask your doctor for advice if you are breast-feeding. If you are pregnant or breast-feeding, think you may be pregnant or are planning to have a baby, ask your doctor for advice before taking this medicine. No studies on the effects of NEFAZOR XR 500 on the ability to drive and use machines have been performed. Ask your doctor for advice about driving or using machines. 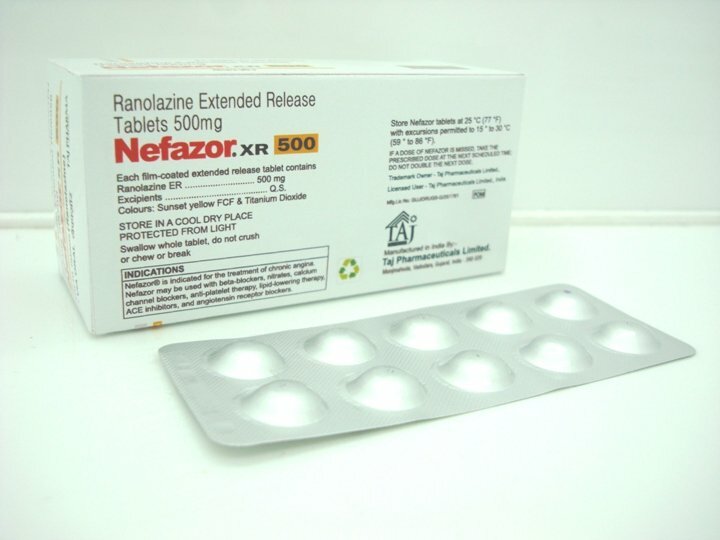 NEFAZOR XR 500 may cause side effects such as dizziness (common), blurred vision (uncommon), confusional state (uncommon), hallucination (uncommon), double vision (uncommon), coordination problems (rare), that may affect your ability to drive or use machines. If you experience these symptoms, do not drive or operate machinery until they have resolved completely. Always take this medicine exactly as your doctor has told you to. Check with your doctor or pharmacist if you are not sure. The starting dose for adults is one 375 mg tablet twice a day. After 2−4 weeks, your doctor may increase the dose to get the right effect. The maximum dose of NEFAZOR XR 500 is 750 mg twice a day. It is important that you tell your doctor if you get side effects such as dizziness or feeling or being sick. Your doctor may lower your dose or, if this is not sufficient, stop treatment with NEFAZOR XR 500. Children and adolescents under 18 years old should not take NEFAZOR XR 500. If you accidentally take too many NEFAZOR XR 500 tablets or take a higher dose than recommended by your doctor, it is important that you tell your doctor at once. If you cannot contact your doctor, go to the nearest accident and emergency department. Take along any tablets that are left, including the container and the carton, so that the hospital staff can easily tell what you have taken. If you forget to take a dose, take it as soon as you remember unless it is nearly time (less than 6 hours) to take your next dose. Do not take a double dose to make up for a forgotten dose. Tell your doctor if you experience common side effects such as dizziness or feeling sick or vomiting. Your doctor may lower your dose or stop treatment with NEFAZOR XR 500. Do not use this medicine after the expiry date which is stated on each blister strip of tablets and on the outside of the carton and bottle after EXP. 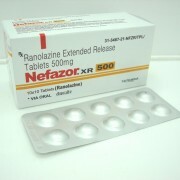 The active substance in NEFAZOR XR 500 is ranolazine. 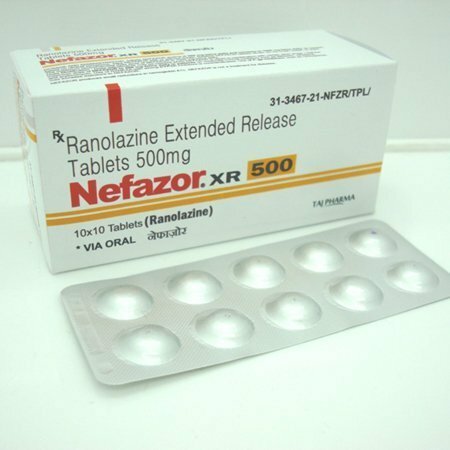 Each tablet contains 500 mg ranolazine. NEFAZOR XR 500 prolonged-release tablets are oval shaped tablets. 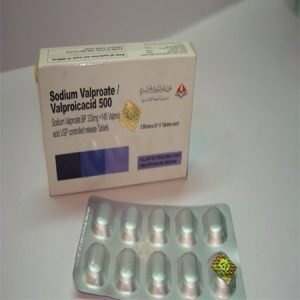 The 500 mg tablets are light orange and are engraved on one side. 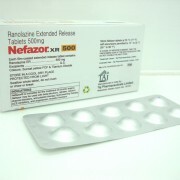 NEFAZOR XR 500 is supplied in cartons containing 30, 60, or 100 tablets in blister strips or 60 tablets in plastic bottles. Not all pack-sizes may be marketed.